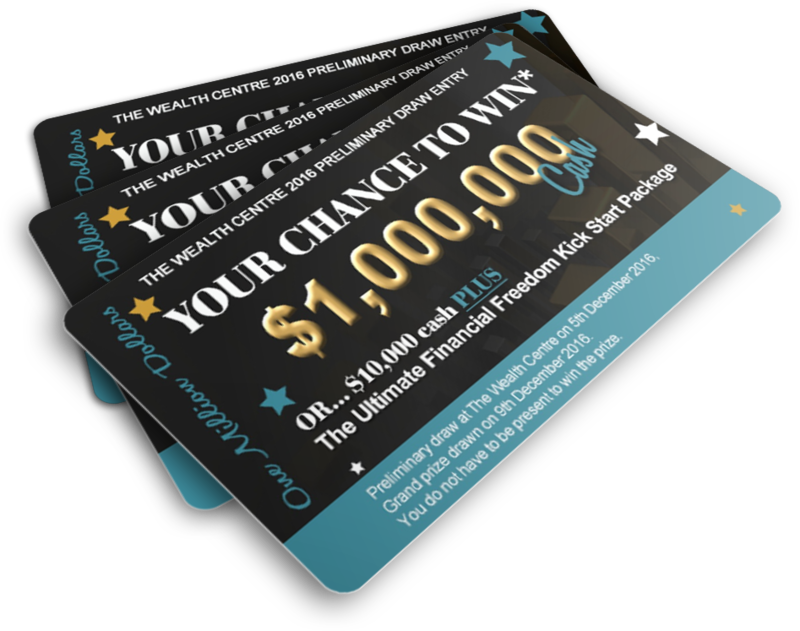 If you’d like the chance to earn more tickets and to qualify for a private meeting with one of our highly skilled Relationship Managers simply log your answers to 5 simple questions and we will get you started on the quickest route to financial freedom and independence. By taking responsibility for your financial successes into your own hands you will soon be on your way to creating more MONEY, TIME, FREEDOM and FUN in your life. Please confirm your email address so we can let you know if you have qualified for 5 extra tickets. Valid email address is essential for your tickets in the draw.